Discussion in 'Prisoners of War' started by tedfromscrubs, Dec 7, 2018. I am writing on behalf of Pam whose uncle was a PoW at Servigliano PG59. He escaped and ended up in the village of Pito close to Acquasante Terme in Abruzzo. All Pam knows is that he was looked after by a "Slav family", recaptured and shot on the above date. Some research has revealed that the partisan band "Bianca" was subject to a raid by the Brandenburg Regiment of the SS on that date and up to 40 people were killed, including Montenegrins, Greek-Cypriots, 2 English and one American. There is a memorial plaque nearby which commemorates this event. So it is possible that Sgt Grove was actually part of a partisan band rather than just hiding out. Pam doesn't even have a photo of her uncle and would really like any information that anyone can provide. This is his Royal Artillery attestation record, he enlisted on 18th January 1928.
ramacal, ozzy16, Tony56 and 4 others like this. Husband of Phyllis May Groves, of Bradford-on-Avon, Wiltshire. ramacal, ozzy16, tedfromscrubs and 3 others like this. One of the members with the ability to navigate the. Atonal Archives search engine may even turn up a War Crimes file if there was a post war investigation. ramacal, CL1 and tedfromscrubs like this. In the night between 10 and 11 March 1944, despite the snow, a large group of German soldiers, accompanied and led by fascists from the province and the municipality of Acquasanta, camouflaged in German pastrani and ski masks, went up to the villages of Pozza, Pito and Umito. The intention was to take by surprise, using a pincer movement, both the partisan band led by Captain Bianco and the inhabitants whilst they slept, preventing any possibility of escape. First they attacked Pozza di Acquasanta at dawn: they burnt the houses of all the peasants whom they accused of giving hospitality to the partisans, they stole food and money, and took prisoner all the young men they had met on their way. Eight of them - Emidio Collina, Pietro Patulli, Filippo Santini, Serafino Cesari, Vittorio Pedicelli, Loreto Santini, Mariano Castelli and Nicola Troli - were shot in front of their relatives' eyes. A few dozen people were saved by sheer good luck. They had been imprisoned in a warehouse not far from the village, where they would probably have been shot, if the Germans had not received requests for help from their comrades who had reached Umito, where they had found the partisans of the Banda Banco, on the ready. There was a violent clash, and the Germans lost about thirty men including their commander Rudolf Stegmeier. After he was mortally wounded his soldiers retreated, allowing Biano's men to disengage and climb the hill. The Germans then vented their anger on the civilian population, setting fire to the houses in Umito with bombs and flares. Two other civilians lost their lives: Nicola Donfrancesco and Anna Sparapani, a child of just eleven months. On the same day the Germans also went to Pito and San Martino, where they had killed two Slavs and seriously injured a young local, Francesco Nazzari who, while he was gathering the foliage to feed the sheep, was hit as he fled in fright, reporting a serious injury to his leg. However, the Germans brought him back home and the next day they took him to the hospital in Ascoli Piceno. The above names from CWGC website Ancona. The Italians have mixed up the names of the first two and the nationality of Barker- this is the correct version. Edited to correct my hasty translation, which I did for the CWGC when asking them to change their records so that the dates of death for three above servicemen were one and the same - 11 March. ramacal, Tricky Dicky, Tullybrone and 3 others like this. Many thanks Vitellino. Could you tell me what is the Italian document? I can see how the names have been muddled by the Italians - how do you know the correct ones? Pam will be very grateful for all info. 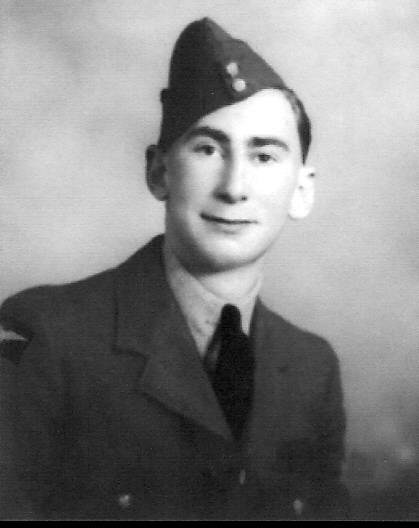 R62010 WO1 Laurence Sidney Barker was born in London 3 January 1920 emigrated with his family to Cut Knife, Saskatchewan. He first tried to enlist in the RCAF in 1938 but was told to "try again". After serving a few months with No. 218 Sqn in 1941 he was sent off to No. 37 Sqn in the Middle East. Aircraft lost 25 November 1941. Sadly the file, contains no information on his activities after capture. ramacal, CL1, Tricky Dicky and 2 others like this. Ancona War Cemetery - Search - Find these records - Relevance - Date of death - scroll down to 11 March 1944 and the three are all together. I think that WOI Barker was the victim of this war crime - anyone feel like sending for the file? It might give some more details about Evans and Groves too. WO 310/90 Acquasanta near Norcia, shooting of Canadian Airman. ramacal, tedfromscrubs and Tricky Dicky like this. It is fairly certain that they had escaped from one of two camps in the area which housed Slavs - PG 64 Colfiorito or PG117 Ruscio. The latter was a work camp. Although the camps were designated as POW camps, it appears that amongst the inmates of COLFIORITO there were some civilian internees - at the end of March 1943 there were 838 internees and the number increased during the summer of '43. About 100 came directly from the Albanian camps of Lavaje and Klos. It was not until a fortnight after the Italian Armistice that those prisoners who decided to leave COLFIORITO did so. The prisoners held in the work camp at Ruscio left earlier and many were recaptured and sent to Spoleto gaol. There was a mass breakout of this prison in October with the connivance of the prisoner governor Guido Melis, arrested as a consequence, whose son Ernesto led a band of patriots (he was most careful not to use the term partisans), and the men disappeared into the mountains between Umbria and Marche. It is my guess that the Slavs killed at Pito belonged to this group. A large group of Slav partisans - the Communist Tito Brigade - had its headquarters at Cascia, only a few kms from Pito. Whereas some of the internment camps for Slavs in Italy housed women, I have no information as to whether or not this was the case with the two camps I have mentioned. The Slav 'family' who helped Sgt. Groves may in fact simply have been a group of Slav escapers. ramacal, Tricky Dicky, CL1 and 1 other person like this. Many thanks to all contributors to this research. 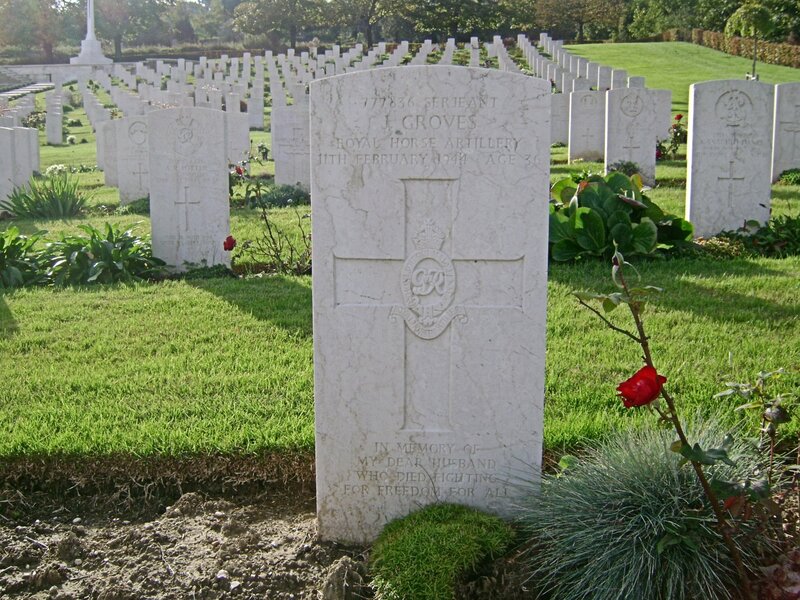 It has now been written up here Serjeant Joseph Groves—Fallen in Pito, Italy - this site gets a mention! vitellino, alieneyes, ramacal and 2 others like this.